With the acquisition of our new chairs, we got perhaps the best present for the kids alongside it. What kid needs beautiful new chairs, when the boxes they came in are even better? 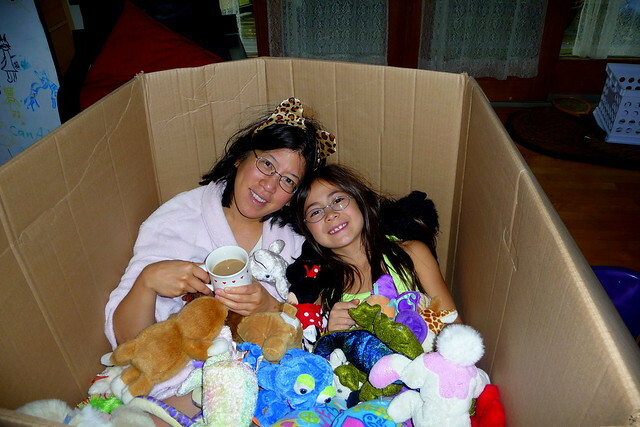 At first, Dova placed all her stuffed animals in it and it became a cozy spot for her and sometimes her mom. With some stop animation photography, we filmed a Dova-in-the-box sequence. It was all very civilized until we added a certain big brother. 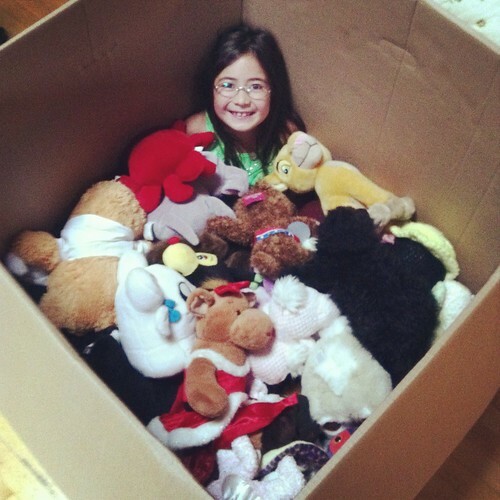 With Adam's and my stuffed animals, the box was filled to brim. It became a bit octagonal as well. But the stopped animation photography session was total mayhem. 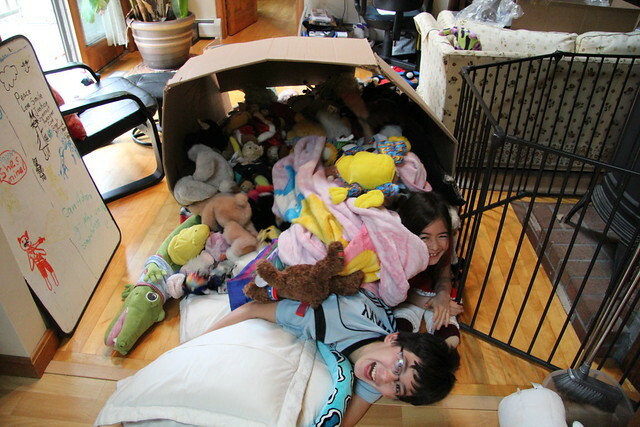 It quickly became screaming-monsters-in-the-box and an indoor tornado. Here's the combined result. Adam is getting way to big to be causing this sort of chaos, but as long as there's a box big enough, he'll be in it. You just can't take the kid out of the box! Note: It's been a long time between posts because I have been contemplating what should be post #1200 for some time. Hooray for eight and a half years of blogging and 1200 posts! indeed there is nothing like a cardboard box! What an amazing accomplishment, 1200 posts! I've been blogging for over 5 years, but so sporadically (until the last year) that I'm just approaching my 200th post! Congratulations! 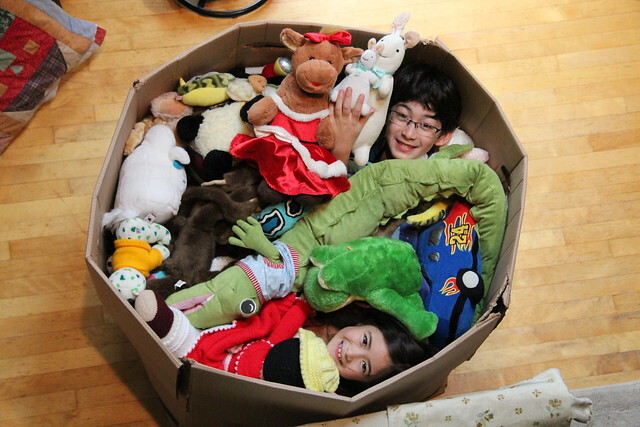 Cardboard boxes are at first useful at home, and after that they do bring smile on the face of your children.